You know that you need a strategy. And you know that there’s more to trading than just having a strategy. In the previous chapter, you learned about the major mistakes that traders make, and you learned that your biggest enemy is not another trader, or market makers, or your broker – it’s YOU. And YOU are your biggest enemy because of your emotions. In this chapter, you’ll learn about the mindset and psyche of successful traders. Having a profitable trading strategy AND the right mindset will catapult you right into the 11.5% of successful traders we talked about earlier. In order to develop the right mindset, you need to know what to expect when day trading. Many traders mistakenly believe that trading will result in a consistentlyrising account balance, like having an ATM in their front yard. But you already know that losses are a part of our business as traders. There will be some days and weeks when your trading exceeds your expectations, and there will be periods when your trading results are far worse than you expected. It’s essential that you maintain a long-term perspective. Day trading means playing a numbers game. You already know that you need to place at least 40 trades before you can look at the performance of the strategy. Most traders only evaluate their performance once a month, trying to have as many profitable months as possible. Hedge fundsevaluate their performances quarterly or yearly. Long-term evaluations have their place, but if you look at your trading results daily, it will drive you crazy. That’s why we define weekly goals. Sure, nobody likes going through a drawdown. But when you’re trading, it’s inevitable. The key is in how you deal with it. "It is totally counterproductive to get wrapped up in the results. You have to maintain your perspective. Being emotionally deflated would mean lacking confidence in what I am doing. I avoid that because I have always felt that it is misleading to focus onshort-term results." And way too many traders focus on short-term results and lose their perspective. That's why they fail: they experience a loss or a bad week, and so they start trading a different strategy. 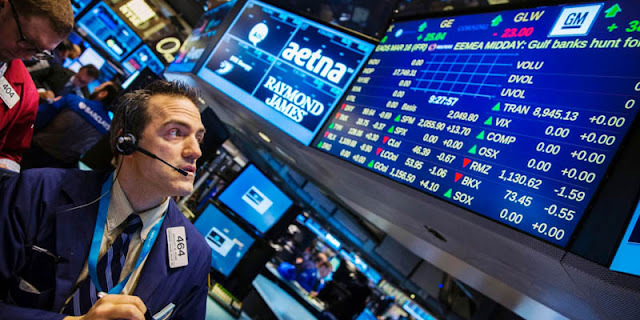 And while the trading strategy they just abandoned is recovering from the drawdown, the new trading strategy may result in yet more losses, so again, they start looking for another. It’s like a dog chasing too many rabbits: at the end of the day, he's totally exhausted and he has absolutely nothing to show for it, because he didn’t catch a single thing. Day trading necessitates selective, wise, and patient trading methods. Successful day traders are practical, and do not go overboard when trading the market. They focus on the quality of each trade, not the quantity. 1.) Successful traders do not blame. They accept the losses they have, and they don’t dwell on them, or blame other people or conditions. They learn from their mistakes and move on with their trading. 2.) Successful traders have a system. They stick to their system of trading religiously. 3.) Successful traders have patience. They know that most positions will not be profitable the minute they are opened. 4.) 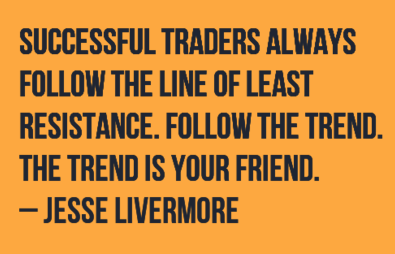 Successful traders do not overtrade. They realize that overtrading puts their account at risk, and they know that not every day is a day for trading. They wait for high probability opportunities. 5.) Successful traders realize that nothing is 100% foolproof. They trust in their indicators, but they are aware of other factors that may influence their trades. 7.) Successful traders do not rush into trades. They take their time while selecting trades, and they are picky about which trades to jump on. They don’t place orders just for the sake of having a position in the market every second. 8.) 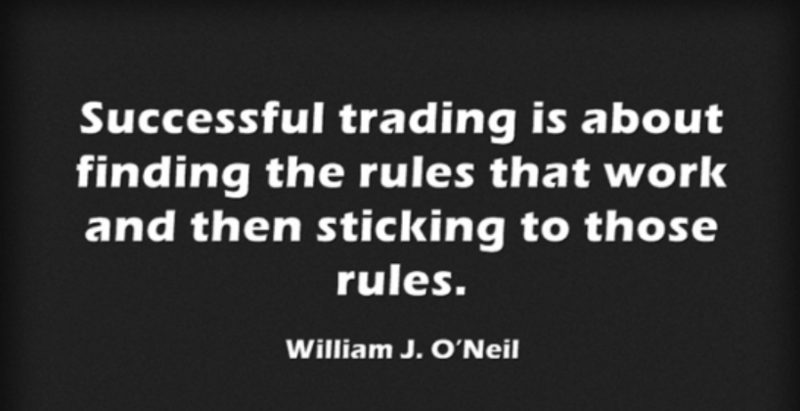 Successful traders stick to a successful strategy. They have one to three techniques that really work, and they use them over, and over, and over again. 9.) Successful traders have the ability to adapt. They adjust their trading methods and decisions to changing market conditions. 10.) Successful traders know what type of trader they are. They don’t force themselves to trade with methods or strategies that do not fit their personality. 11.) Successful traders bank on consistent profits. They know that ignoring the small-profit trades and angling for a “grand slam” is a sure way to lose money. 12.) Successful traders take action. They don’t let their fear control their decisions or interfere with their trading. 13.) Successful traders use successful systems. 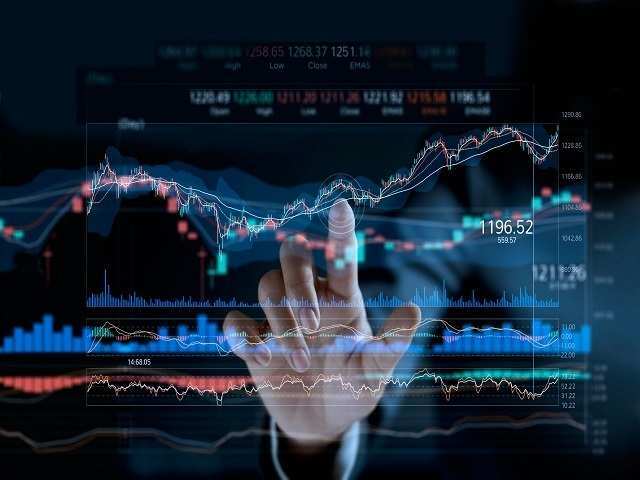 Their trading methods and indicators focus on high probability trades, sound money management, keeping their strategies free of curve-fitting, and working their system into their business plans for successful implementation. 14.) Successful traders recognize a “good” trade. They don’t base their evaluation on profits or losses; they base it on whether or not they followed their trading plan to the letter. Even if they DID lose money, as long as they stuck to their plan, it is a “good” trade. 15.) Successful traders take time off. They realize the importance of taking breaks from trading and the markets to clear their heads. 16.) Successful traders do not fear losses. They realize that losses are a part of their business, and they expect them. If you can adopt the right psychological mindset, then you’ll gain a significant edge in the market. The right mindset is one of the keys to investment success, and most traders fail to understand this. 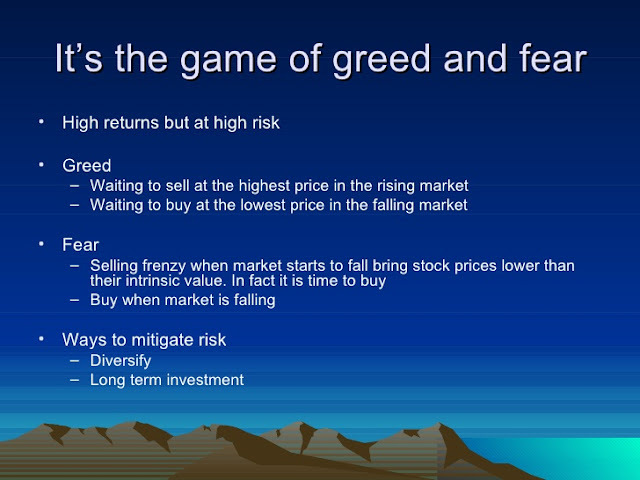 When day trading, two emotions are constantly present: greed and fear. If your trade goes well, your natural inclination will be to trade even more, opening yourself up to significant loss. And if your trade goes wrong, fear will torture you. Fear of loss or fear of a further loss makes traders scared. Greed and fear are destructive emotions, and all traders are influenced by them; they’re a natural part of every trader’s psychology. 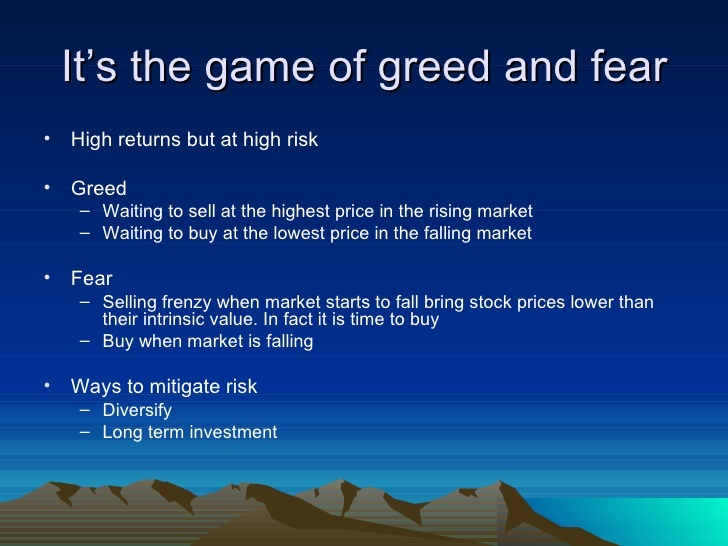 Greed and fear can make traders act irrationally: they may know what they should do, but they simply can’t do it. The bottom line: if you’re scared or greedy, and you can’t control your emotions when day trading, then you’ll have a very difficult time being profitable. But, when you trade well, in accordance with your trading plan, you will have a fantastic chance of success. Feel proud of yourself for good trades and decisions, but don’t dwell on them, or allow arrogance to set in. Keep your head up and continue to apply a sound trading strategy, even when you suffer losses – remember, they are just a part of the business. Do not allow yourself to get caught up in positive or negative emotions understand the psychology behind trading and know that no trade is guaranteed. Work on your mental state. If a trade goes wrong, try and work out why it did, and learn from it. Executing a trading method with discipline is the only way to overcome destructive emotions. Whether you’re a day trader or an investor, and whether you trade in commodities, stocks, or currencies, the fact is that your trading psychology WILL influence your results. You should never trade without a solid reason. Don’t chase the market. If a market moves sharply, but you don’t participate in this move because your entry criteria weren’t met, don’t worry about it. If you miss a trade, another one will be just around the corner. Practice patience and discipline. You need to control your emotions by having a specific plan to follow. 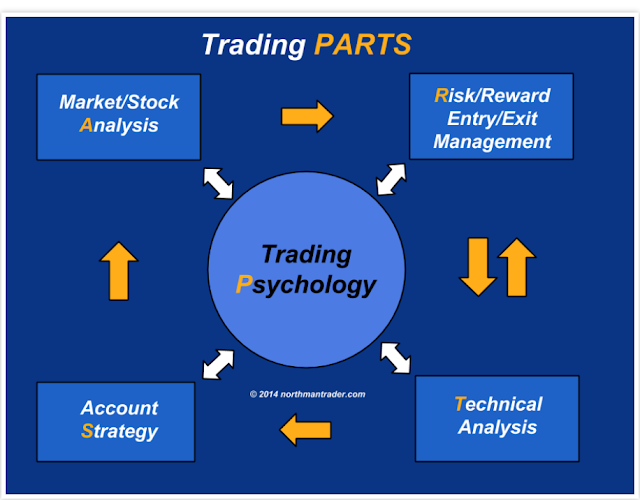 Having the correct trading psychology is just as important as having a reliable trading strategy. The more you are prepared mentally for trading, the better you will trade. Note my emphasis on better trading, not better winning. A good day in day trading is not defined by profits. 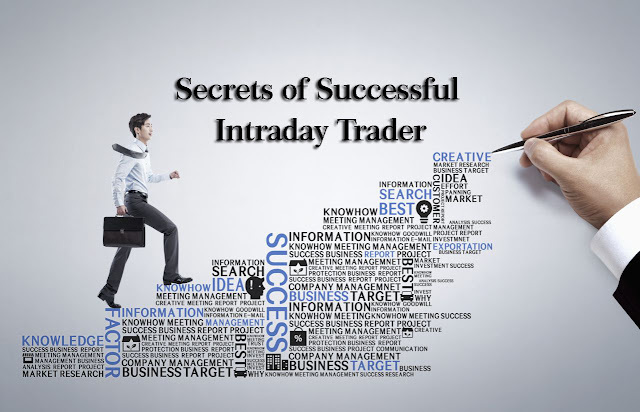 Successful day traders define a good day as one that is researched and planned and follows their overall trading strategy. Write down 10 “I Am” statements. 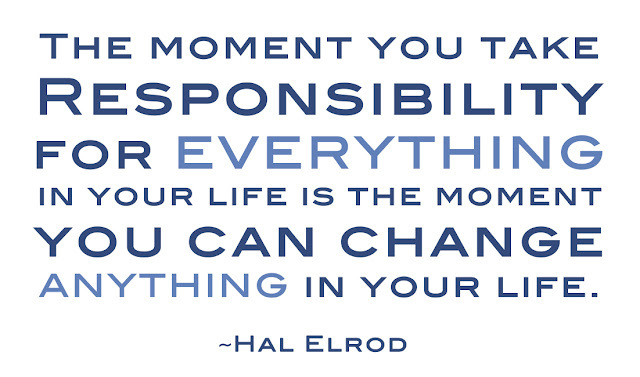 These statements should reflect who you WANT to be, not necessarily who you are now. 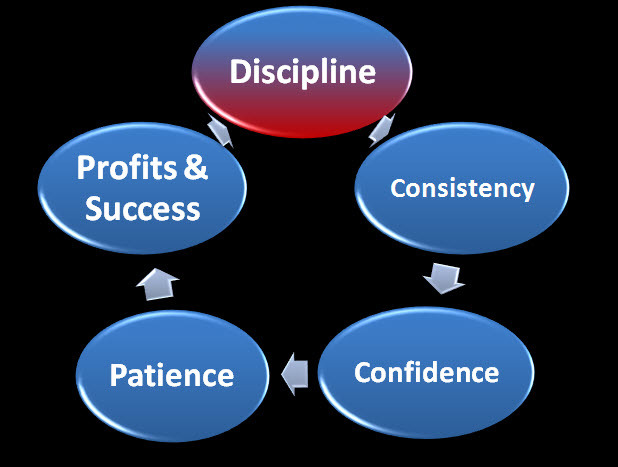 I am a disciplined trader who follows his trading plan. I am cool and relaxed when I am trading. I am a profitable trader. Read these “I Am” statements every morning before you start trading. Read them aloud and read them like you mean it. Do it for two weeks, and I promise, you WILL notice a difference. W hen day trading, you’ll obviously select a timeframe that is less than one day. Popular intraday timeframes are 60-minute, 30-minute, 15-minute, 10- minute, 5-minute, 3-minute, and 1-minute. When you select a smaller timeframe (less than 60 minutes), usually your average profit per trade is relatively low. On the other hand, you get more trading opportunities. When trading on a larger timeframe, your average profit per trade will be bigger, but you’ll have fewer trading opportunities. Smaller timeframes mean smaller profits, but usually smaller risk, too. When you’re starting with a small trading account, you might want to select a small timeframe to make sure that you’re not over-leveraging your account. However, when selecting a very small timeframe like 1-minute, 3- minute, or 5-minute, you might experience a lot of “noise” that is cause by hedge funds, by scalpers, and by automated trading. 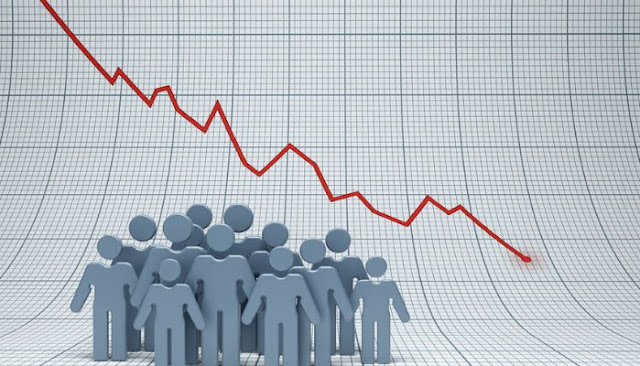 You might think that you see an emerging trend just to realize that it was only a short manipulated move and that the trend is over as soon as you enter the market. When developing a trading strategy, you should always experiment with different timeframes. A trading strategy that doesn’t work on a small timeframe might work on a larger timeframe and vice versa. Start developing your trading strategy using 15-minute charts, and if you’re unhappy with the results, change the timeframe first before changing the entry or exit rules. The survivalist trader needs accurate feedback on open positions to take advantage of directional movement and to guard against traps, rinse jobs, and other unwelcome surprises. The best way to accomplish this daunting task is by observing and managing exposure continuously in the intraday markets. While watching every tick isn’t a viable option for many traders, it’s the preferred management route whenever possible. The remote strategies outlined in Part Four offer a useful alternative to folks with real lives away from the financial markets or commitments that keep them from the ticker tape. In the real world, some positions will behave very well, while others go haywire and fall apart. This duality forces the trader to establish an adaptive profile that denotes the prechosen exposure and risk associated with all open positions. This macro control mechanism needs to match external market conditions which in turn require constant adjustment through position choice, share size, and holding period. The adaptive profile is far more important in a successful market strategy than any individual trade. The financial markets cycle through phases of danger or opportunity. It’s the trader’s job to identify the current phase and adapt, in real time if possible, by applying the right collar for that particular market. Collars signal when to let profits run, and when it’s the worst thing you can possibly do. 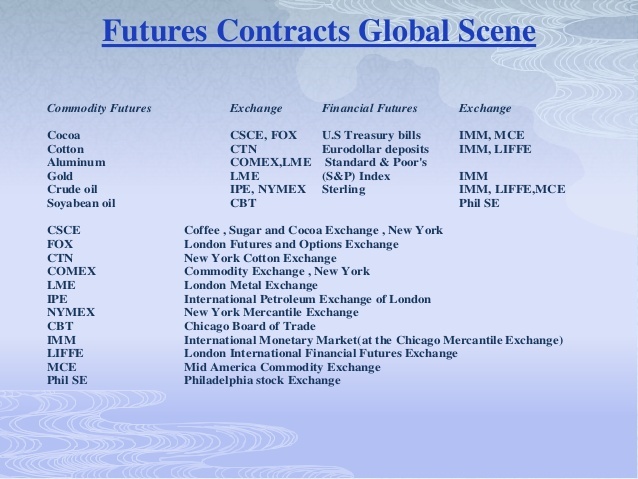 They also define the right stock, futures contract, or currency pair to trade at any point in time. For example, it makes perfect sense to play volatile small caps when the collar is loose and the market is printing money but to stick with blue chips when opportunity is low and predators lurk in every dark shadow. Adaptive profiling establishes the collar placed on each day’s market activity. This refers to the aggressive or defensive posture based on volatility, sentiment, and current positioning of the index futures. In a nutshell, the survivalist trader needs to be aggressive in times of greatest opportunity and defensive in times of greatest danger. This is one of the more subtle aspects of intraday strategy, because it demands a central theme that changes from day to day. Part Six will address this aspect of position management in greater detail. You’ve reviewed the trade setup a dozen times, calculated reward:risk, and found the perfect moment to enter the market. With a slight adrenaline rush you hit the magic button and open a position. Now what do you do? First, digest feedback from the fill report. With a market order, your entry might show slippage and demand a recalculation of trade assumptions. So, if you get filled more than a few ticks away from expectations, reconfirm risk tolerance and recalculate the intended exit in case things go wrong. Next, take a second look at the charts to confirm that you made the right choice. We often see things differently when sitting on the sidelines, as opposed to being in the heat of battle with real money at risk. Finally, set a physical stop if that’s part of your trading plan. If not, target the price or specific conditions under which you’ll exit the position without hesitation. Take your losses manually, whenever possible. This builds discipline because the action accepts responsibility for the trade. It also acknowledges how your stop loss points to an evolving calculation and not a fixed number. Update this mental escape hatch as each price bar modifies your assumptions, goals, and emotional state, getting out immediately when price hits the level where the trade proves to be wrong. The failure swing that demands your exit might turn out to be a whipsaw, but don’t delay action in an effort to find out the truth. A trade can always be reentered after a shakeout, but each position must stand on its own merits. This unbending rule requires a fresh analysis and revised targets for each entry. Keep in mind that subsequent trades often fail because the initial shakeout actually signaled a legitimate change in trend. If a weekend evaluation suggests you’re getting shaken out of good positions too often, then it’s time to revise your stop loss strategy so that trades are given more room to run. Intraday charts sketch feedback in real time. 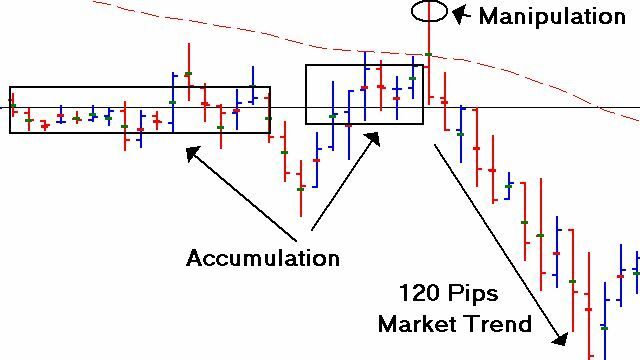 Watch price action and anticipate how individual bars on 15-minute and 60-minute charts will close. Pay close attention to how buy and sell ticks affect the curvature of surrounding Bollinger Bands and evolving Stochastics. Watch out for thrusting candles that break through the top or bottom band, signaling a momentum peak. Look for small but significant gaps between candles at key price levels. Find the spot where the pattern says the bars should eject into a profit or break down into a loss. Then see if the buy-sell order flow matches your expectations. Measure the market’s pulse through 5-3-3 Stochastics. 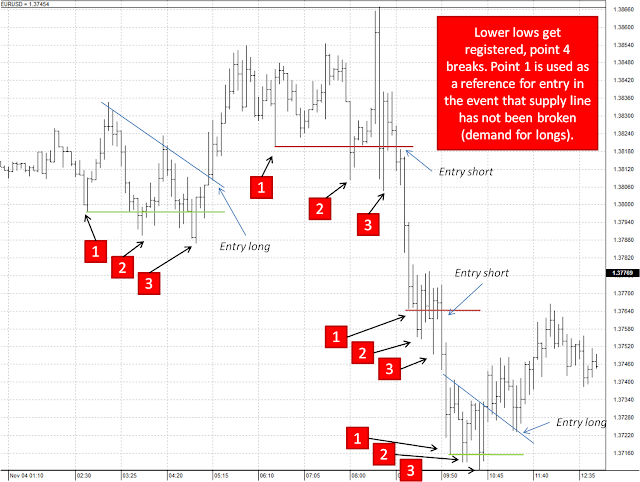 When a notable surge of buying or selling pressure doesn’t push price firmly in your favor, it may signal hidden supply or demand that will eventually trigger a reversal. Use position scaling to address changing risk. Take partial profits when trades stretch toward profit targets ahead of schedule. Reduce size when price action gets erratic or external forces make prediction more difficult. Double or triple up when patterns fire on all cylinders or unexpected news lends support to an open position. In other words, trade larger when you’re getting clear signals, and reduce size when forces are in conflict. Each position has a right size, regardless of account capital. This risk level shifts as price bars add fresh data into the trade feedback loop. Load up during winning streaks and supportive markets because performance implies reduced risk. Lighten up and wait for better times when you’re experiencing drawdowns or reversals of fortune. Inexperienced traders expose themselves to risk because they think total buying power must be committed to each position. These folks will survive a lot longer in the financial markets if and when they just learn to trade well, and stop worrying about making money. In the real world, profits come automatically when we take the time to become proactive managers of our open positions and apply the right collar to each trading day. You can’t become a successful trader without mastering the fine art of tape reading. That revelation could be a shock after the countless hours you’ve spent studying the charts and probing the indicators. Of course, you can trade without the tape, but you do so at your own risk because the charts paint pretty pictures that trigger perfectly wrong signals. Meanwhile, the flow of buying and selling pressure, as it unfolds on the ticker tape, exposes forces that remain hidden to charting purists. In a nutshell, those impulses uncover the real activities of market players, as opposed to the smoke and mirrors being fed to the trading public. In a word, the tape never lies. When students ask me for a seminar on tape reading mastery, I usually tell them to sit down, pull up a notepad, and watch the numbers wiggle around for a few decades. They think I’m kidding, but I’m not. Literally, it can take 10 years or more of staring at the shifting numbers to decipher the games played by Wall Street and other market participants. However, it’s worth the considerable effort because, once you’ve learned to read the tape, you have a lifetime edge over less observant traders. Here’s a tape trick to get a read on the crowd’s excitement level. Place a 30- or 60-day moving average of volume next to the real-time daily volume on your watch lists. The few issues that pace above their moving averages signal impending range expansion for that session. This side- by-side analysis works best when macro influences aren’t moving the broader tape. For example, a stock trades over 50% of its 60-day average volume in the first hour of the trading day although it’s stuck in a narrow range. You’re staring at an actionable signal that could yield a major rally or selloff by the closing bell. Veteran trader Larry Pesavento points out a powerful tape reading tool called the “opening price principle.” Through years of observation, he discovered how the opening tick frequently serves as a pivot through an entire session. This comes into play in many ways but is most useful when price returns to retest the opening level, from above or below. To use this tool, draw a trendline across the opening prices on the S&P 500 and Nasdaq-100 index futures or their related funds. When price action retraces back to those levels during the intraday session, watch closely for a breakout, breakdown, or reversal, using those swings as trading signals for individual equities. the opening price comes into play five sessions in a row on the Nasdaq-100 Trust (previously the Power shares QQQ Trust). Price tightens into narrow range (1) for nearly two hours on the first day, with the opening price marking the center pivot of a triangle that breaks to the downside in a steady selloff. The fund gaps down (2) on the second day, selling off into the lunch hour and then bouncing higher. The recovery stalls just a few cents from the opening price, which now marks resistance, and drops like a rock in the close. Price opens marginally lower (3) in the third session and zooms higher in a trend day that never retests the opening level. Whipsaws (4) hit the market on the fourth day, with upswings reversing at the opening price twice during the volatile session. The last day yields another downtrend (5) as selling pressure slams the market right at the opening bell. Note how the opening price comes within eight cents of marking the daily high. Tape readers pay close attention to the relationship of current price to the daily range. 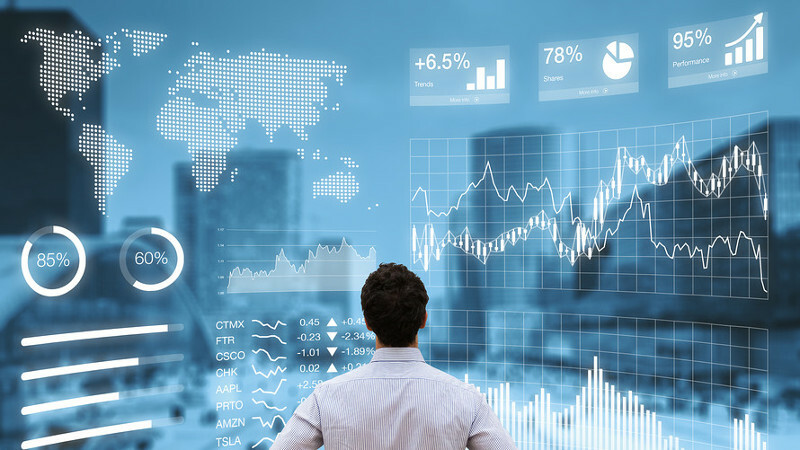 Real-time quotes refer to this ratio as the “% in range.” This simple number can track the progress of a huge basket of financial instruments in just a few seconds. For example, there’s an hour to go and the market is down. Most of your watch list is scraping the bottom third of the daily range, but one or two stocks are popping near 100% on the % range quote. These leadership issues are breaking to new highs while the rest of the list is doing nosedives with the broad market. Guess what? You’ve just uncovered a bullish divergence for momentum plays into the close or an overnight hold, in anticipation of a morning reversal. 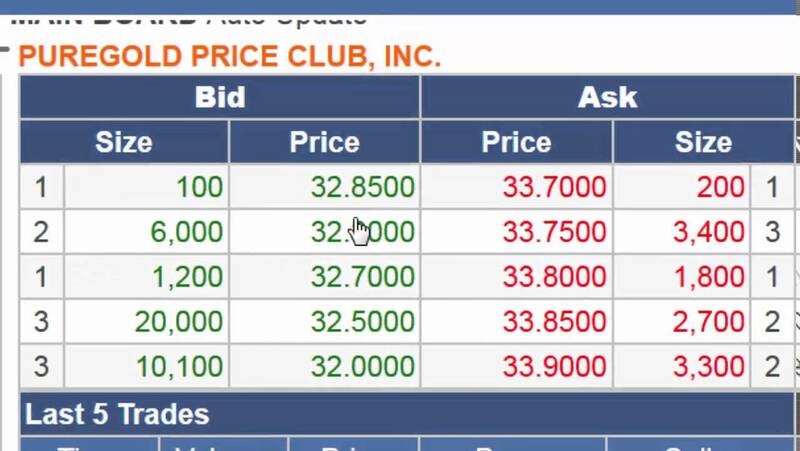 A simple display that shows only the last price traded and the bid-ask spread provides most of the data needed to read the ticker tape. The time and sales screen is helpful but not essential to your task, and I’d avoid the Level II screen entirely because it’s just a distraction. There’s a misconception that tape reading and technical analysis are separate but equal paths to market mastery. In truth, the effectiveness of your tape observations comes from identifying critical chart levels where buyers and sellers clash, with one side or the other finally taking control. When you uncover one of these contested levels, sit back and watch as the battle unfolds, understanding it might rage for hours or end in a few minutes. Look for a defense of the boundary and if there’s enough excitement to overcome it. Decide whether the bulls or bears seem more determined and in control of the tape. What doesn’t happen during these conflicts is just as important as what does happen. For example, price lifts into a key resistance level, where sellers should be attacking the bid and attempting to trigger a reversal. Minutes pass, but no selling pressure emerges. This lack of activity yields a bullish divergence, telling the tape reader that bears have stepped aside for whatever reason, allowing bulls to trigger a breakout and much higher prices. The most basic order flow manipulates price against crowd emotions. Simply stated, the ticker tape knows the chart better than you do. 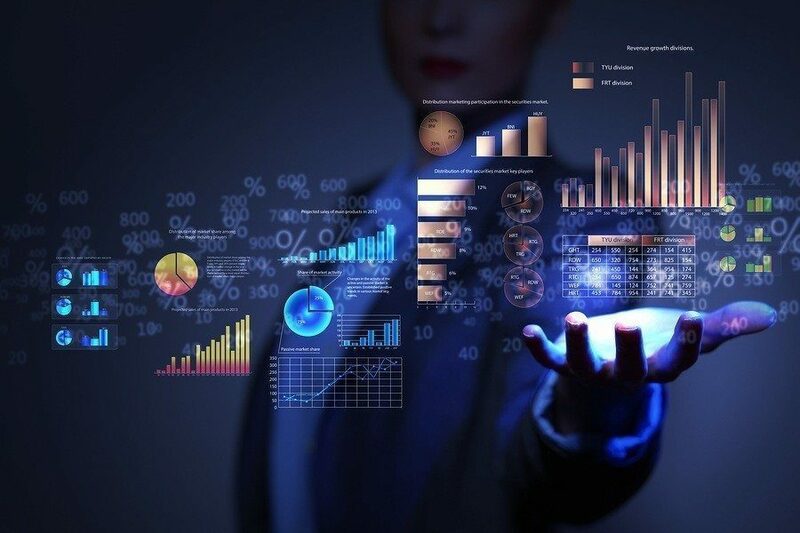 In a typical scenario, professionals and their program algorithms keep one eye on stocks and the other on cross-market forces. They push prices into and through support-resistance levels to test the waters and see how much volume is generated by their activity. 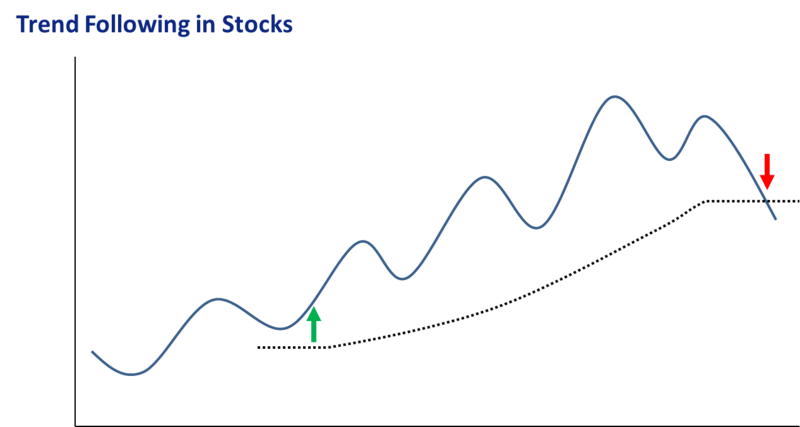 Feedback loops then come into play, with a notable reversal when a specific level can’t be broken and a directional “pile-on” momentum when greed or fear triggers a breakout or breakdown. Filter the ticker tape’s message through the most popular intraday technical tools. For example, the following extremes points to trend days in which the tape reader needs to avoid swing reversal strategies because support and resistance levels are unlikely to hold. No two issues trade alike on the tape, so it’s wise to observe ticker movement and check out certain risk characteristics before taking a position. Look for depth of participation and which players are spending the most time at the inside bid-ask. 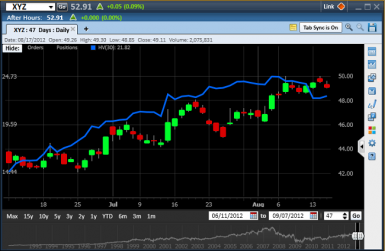 Measure volatility by comparing current price action against the width of a typical swing in a quiet market. Share size on the market depth screen is a total lie, due to rules that permit hidden orders, but the flow of buying and selling pressure might tell the truth, so average out total shares on one side of the market for several minutes and compare that number to relative price movement. This simple exercise could expose a few big whales swimming under the surface. 1. 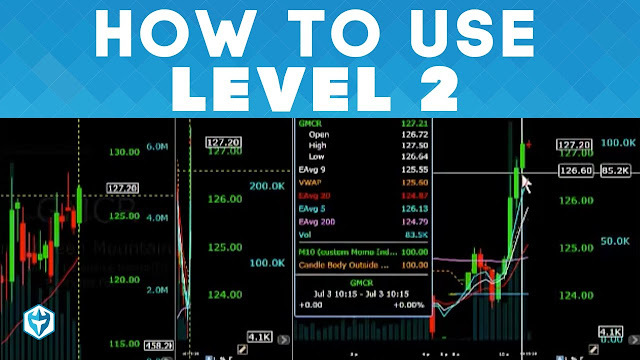 Memorize key levels on your favorite charts. Then watch the tape whenever price approaches one of them. See if you can predict reversals before the crowd does. 2. Look for divergences between sentiment and the tape flow. Are hidden buyers holding up prices in the middle of a selloff, or do rallies fizzle out for no apparent reason? 3. Ask if price action matches your expectations. Look for buyers at breakout levels and sellers at breakdown levels. When they don’t show up, stand aside or fade the trend. 4. Use the opening price principle. Draw a line across the opening tick on the S&P 500 and Nasdaq-100 using breakouts, breakdowns, and reversals as trading signals. 5. Track the relationship between price and the daily range. An instrument holding high in its daily range has hidden strength, while one hanging low has hidden weakness. 6. Follow professionals in quiet times and the public in wild times. Insiders chase volume during periods of conflict but lose control of the tape when the public enters the market. 7. Liquid stocks move in channeled ranges. Ignore oscillations in the middle of these zones, but focus undivided attention when prices reach upper or lower boundaries. 8. Most volume comes from scalping machines pushing prices around for a few pennies. Find the whales underneath these minnows to predict the next rally or selloff. Look at premarket index futures and see where they’re trading relative to their day-session 15-minute 50-period moving averages. Expect a positive opening for stocks when index price sits on top of the average and a negative opening when it lies below. If the S&P 500 is above but the Nasdaq-100 is below, look for intraday rotation from tech and small caps, into the blue chips. Flip over this outlook when Nasdaq-100 is above and S&P 500 is below. On those days in particular, watch for speculative four letter stocks to take over the leadership mantle. Market breadth and up/down volume offer valuable data on hidden strength or weakness. Buy midday pullbacks when breadth shows greater than 1,000 advancing to declining issues. Sell midday bounces when breadth shows less than –1,000 advancing to declining issues. Up to down volume in both exchanges greater than 4:1 points to a trend day that favors the dominating side of the market. Assume there will be no intraday turnarounds when you see this type of price action. Instead, stop fighting the tape and focus intraday capital on 60-minute range breakouts or breakdowns that follow the prevailing trend. pinpoint intraday swings that will carry price the other way in a 60- to 90-minute cycle. Watch for a breakout or breakdown when intraday price creeps toward a support or resistance level that it’s failed to exceed multiple times in the last three to five sessions. This slow crawl will print a series of small bars with no pullbacks on the 15-minute chart. Look for these issues to hit the contested level and then expand quickly through the barrier.Why does this type of price action predict a big rally or selloff? It’s a common scenario in which big players have entered the market and are accumulating or dumping shares under the radar, trying not to attract attention. They push prices slowly by hitting the spread with small shares at regular intervals while supporting their positions with decent size on the other side of the market. Momentum eventually gathers steam, and the stock cuts through support or resistance like butter. Stocks respond to every high or low on the chart, no matter how old or far away. Take profits and cut losses into big prints from prior years because they can easily stop a strong trend dead in its tracks. However, be patient because price often goes vertical into these magic numbers, yielding windfall gains. Highs and lows set into place five or ten years ago become excellent pivot points for new entries as well. these programs know the charts better than many traders and want to shake out poorly placed stops. Finally, wait for the bottom to drop out, and then look for the bid to stretch 20, 30, or 40 cents below the last print while the ask hardly moves. This predicts the selling frenzy is nearly over, and positions can be taken for a rebound. You now have to hit the asking price, even though it’s much higher than the low printed by the falling bid. Finally, here’s an observation that will add considerable power to your tape reading expertise. Look for price action to cycle through three distinct phases when it moves into a key position just above resistance or just below support. Like so many elements of market dynamics, these interrelated impulses track the action-reaction-resolution cycle. Most traders focus their full attention on the excitement of the breakout or breakdown, jumping in when the ticker tape bursts with buying or selling activity. Of course, as I’ve argued throughout this text, this is a great way to lose money. In contrast, tape readers step back and examine the quality of this three-pronged conflict, which ultimately tells them whether the embryonic move is bona fide—or just a nasty trap waiting to be sprung. Stockbrokers come in many shapes and sizes. Some act as nothing more than a tool to receive the independent chimp’s stock orders. 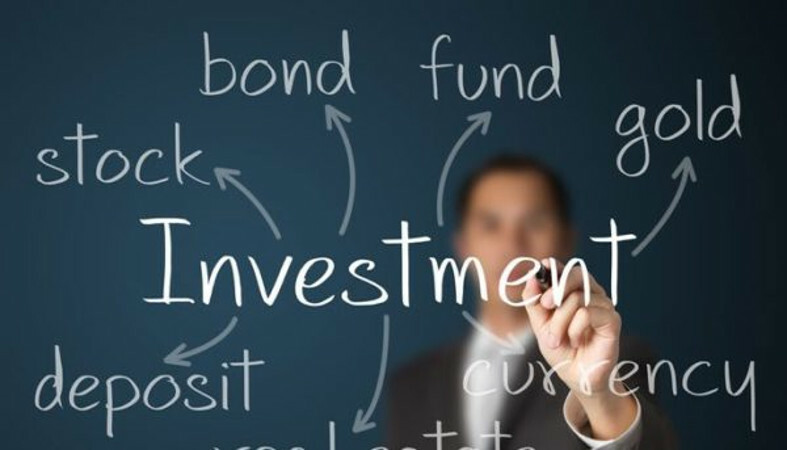 Others play a very active role in the investment strategy of their clients. Still others act as salespeople and can become very obnoxious and pushy. Deciding what kind of broker is right for you can be a difficult undertaking, especially if you have no prior investing experience. Should you get an electronic broker first or wait a while? Do you want investment advice and stock ratings from your broker? Perhaps the two most important considerations are what makes you comfortable and what seems the most convenient. Don’t be discouraged if your first broker or even your first several brokers don’t work out. Be careful whom you pick to help you invest your hard-earned banana. So you’ve decided you’re ready to trade. You’ve got some risk capital, you’ve got some knowledge, and now you need an account. What are your choices? Nowadays, the major decision is to choose between online or traditional brokerage. Most online brokerages are considered discount brokerages because they offer low trade commissions and they don’t contact you often. If you’ve decided to use an online brokerage, then read on. Names of popular online brokerage firms can be found in newspapers, television, magazines, and on the Internet. If you want a fairly comprehensive list of reputable online brokers, check out an Internet directory such as Yahoo!. 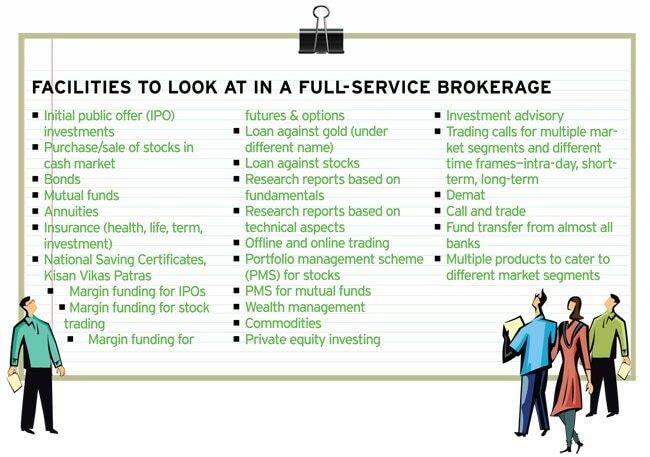 Try looking in the Financial Services section for “Brokerage Firms” or “Brokerage Houses” and then under the “Electronic” or “Online” subcategory. 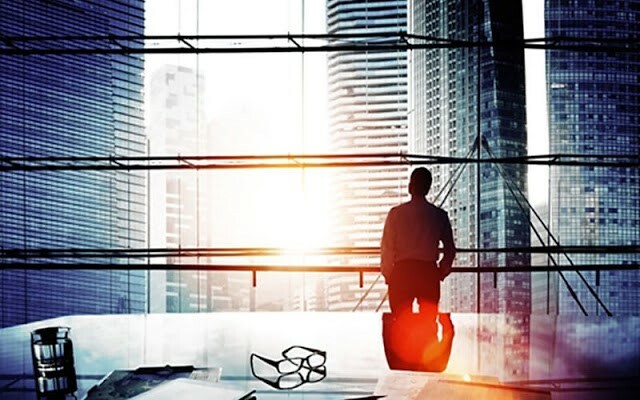 There are several major factors you should consider when choosing a brokerage firm. First of all, many brokerages have minimum starting account balances that you must meet in order to open an account. Depending on which firm you choose, this requirement may be as low as $500. And, depending on how much risk capital you have, this may be a major factor in opening an account. Another very important factor is commission rates. If you have an account with a small amount of capital, it’s important to keep commission rates as low as you can. There are several ways to do this. Some brokerage firms advertise extremely low commission rates, but you may notice that once you’ve signed up you’re not getting those rates. This may be due to the fact that those low rates are usually special offers. They apply to people who have a certain balance in their account, people who trade more than a certain number of times in a given time period, and so on. Before you set up your account, call the brokerage firm and actually talk to a broker. Try to bargain, and see if they can set up a lower commission rate for you. Some stock brokerages offer more than others. And contrary to what your logic might tell you, the more expensive brokers don’t always offer more services. That’s why it’s important to shop around. Some brokerages will offer free real-time quotes, while others may charge a fee for quotes or require certain trading activity to receive them. 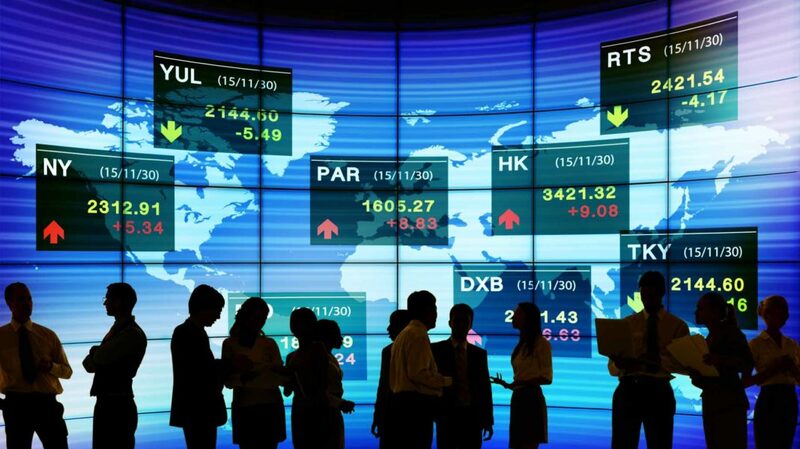 Others may offer the option of automated telephone trading as well as the option of placing orders over the phone. Also offered may be investment information services, which could help the average chimp learn about the basics of using a broker, investing, as well as news services and other catchy benefits. If you’re a big traveler, some brokers offer airline “miles” for trading or discounts on credit cards linked to banks associated with the brokerage firms. Check around; there’s no shortage of deals that could save you big bucks. WHY ARE COMMISSION COSTS SO IMPORTANT? To put it simply, it’s all relative. Let’s pretend that I open an account with an initial balance of $10,000. The starting commission rate at my brokerage firm is $20 per trade. When I make one trade, I’m spending .02 percent (or $20) of the money in my account to make that trade. However if I have $500, it’s a different story. Making one trade with a $20 commission requires that I spend 4 percent of the money in my account for every trade. That means that unless I make more than an average of $20 per trade, I will only be able to make twenty-five trades or fewer before I spend all the money in my account! DO YOU NEED ALL THE FREE STUFF? Not at all! Of course it’s nice to have free stuff. And, you might be really jealous when you see your coworkers taking advantage of their real-time, streaming quote, or trading right from their desk. However, too much information is more distracting than you may realize. Brokerage firms exist to generate commissions by executing your trades. As we’ve said before, you should be the one making the decisions about your trades, not brokers, not analysts, and, above all, not your emotions. So when you decide not to overstimulate yourself with loads of information, you are actually doing yourself a favor and making it easier to win the game. There are two major categories of brokerages: full-service and discount. Increasingly, banks offer investment services as well, so if transferring money from account to account isn’t your cup of tea, try asking about this at your local bank. 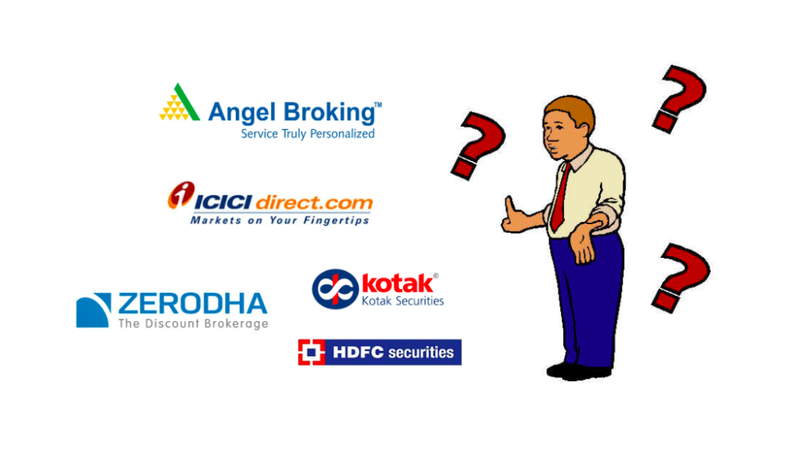 Choose your brokerage firm according to your style of investment. Ask yourself if you would feel better with an investment adviser and/or broker on the other end of the phone, or if you would feel just as confident without even talking to a person at all. Full-service brokerages serve several purposes. First and foremost, they act as the go-between for buyers and sellers of stocks (this is the major purpose of any brokerage firm). Second, they act as a resource for individual investors. If you sign up with a full-service broker, don’t be surprised if some baboon gives you a call to tell you about hot stocks in which you should invest your bananas. But be aware that these baboons are often like used-tree-house sales people; they may have ulterior motives. 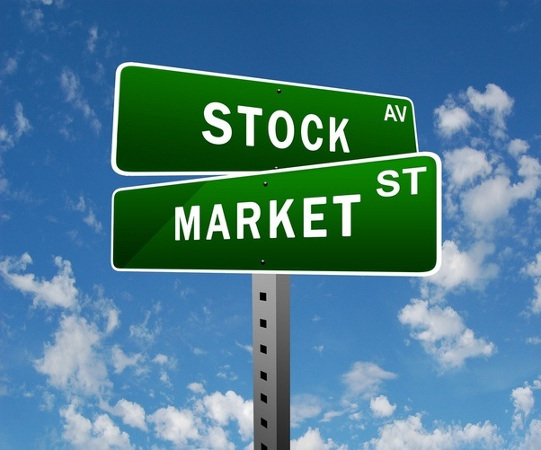 Your stockbroker may be asking you to buy a stock, which his or her brokerage firm is trying to move “off the shelves.” This would occur when your brokerage firm has been involved in the public offering of a company, or has a large number of shares that it needs to get off of its hands. 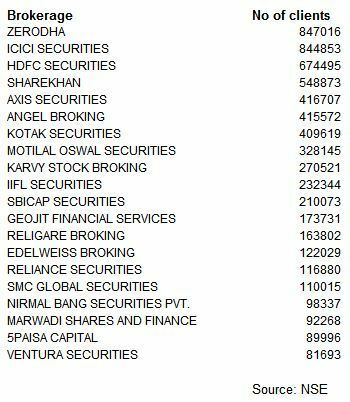 In fact, brokerage houses often pay their brokers bonuses to push stocks like these. If you’ve signed up with a full-service broker, don’t start hooting and hollering just yet. The stocks your full-service broker will tell you about will not always be “good” or “bad,” nor will they usually be stocks the firm has asked them to move. But always keep in mind that one of our cardinal rules of investing is that a market monkey should choose stocks for him or herself. 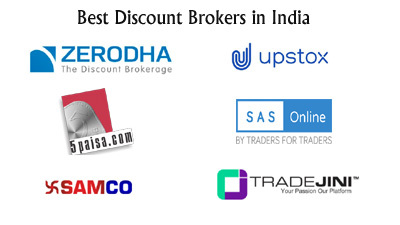 Discount brokers are divided into two subcategories: discount and deep discount. Discount and, to an even greater degree, deep discount brokers primarily facilitate the buying and selling of stocks. 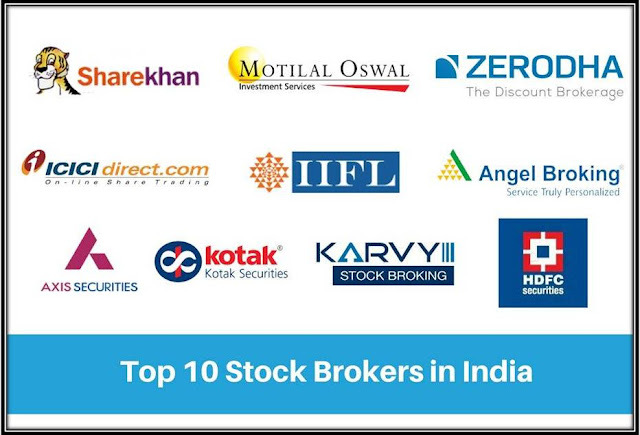 You will practically never have discount brokers call you and tell you about a stock. However, you may receive free materials, newsletters, or investment tools to help you make decisions on investments. Be aware that if you sign up with a discount broker, you will be in an extremely independent investment decision-making environment. The major difference between all three types of brokerages beyond service is price. Brokers make some money on commissions (a fee charged for the execution of a trade). When a stockbroker assists you in deciding what to buy or sell, there will normally be a larger commission fee than otherwise. Solicited trades (when a broker asks you to buy a stock) will also cost you more. If you don’t have a lot of cash in your account to start with, try to get the lowest trading fees possible. Chimp Elliott’s advice is to stick with a discount broker and make your own trading decisions once you have learned the basics of trading and order placement.